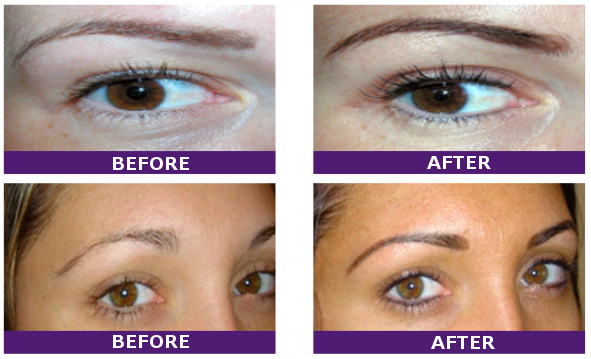 Permanent Make-up is an extremely popular treatment. The colour, shape and darkness required is discussed and agreed upon before the treatment. The therapist then numbs the area with a local anaesthetic cream. The ink is placed in the skin using a hand-held tattoo machine that has a fine needle. It is used on the eyebrows to correct thin eyebrows, to darken the eyebrows and / or to help maintain the perfect-shaped eyebrow. Eyebrows frame the face. In fact in the professional make-up industry they consider the shape and appearance of the eyebrows to be one of the most important features. Eyeliner on the top eyelid and/or the bottom eyelid is very popular. Touch-ups are usually required and can be done anytime from 2 weeks. 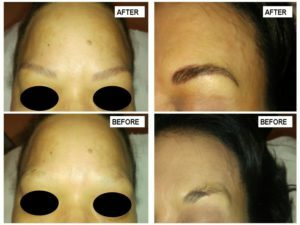 MICROBLADING is the much talked about topic in Permanent make-up today!